The combination of a cold plate and one or two of the LC-SSX1 exchangers makes a liquid cooler that is capable of being used with high purity or corrosive fluids. 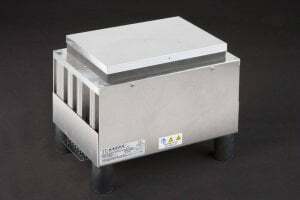 These systems can also be used for condensing vapors from gas streams where the condensate is corrosive. The LC-SSX1 is a single piece of stainless steel tubing looped and then embedded in an aluminum base plate. 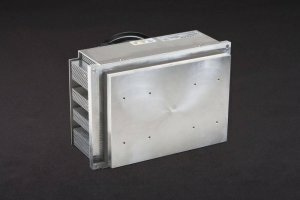 This heat exchanger is designed to be attached to the CP-061, CP-065, CP-110, CP-121, and CP-200 series cold plate coolers. • 316L stainless steel tubing is ideal for many types of liquids which are otherwise not compatible with anodized aluminum or copper. • Tube ends are straight 3/8 inch (9.5 mm) outer diameter for use with common compression fittings. 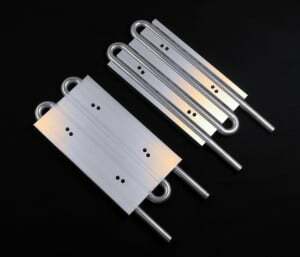 • Heat exchanger provides a four-pass liquid loop. • Base plate has through-holes that align with mating threaded holes in many of our standard cold plates, allowing for easy attachment. 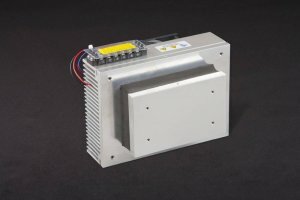 • Ideal for laser diode coolers, temperature baths, small vapor condensers, recirculating water chillers or in-process fluid cooling. 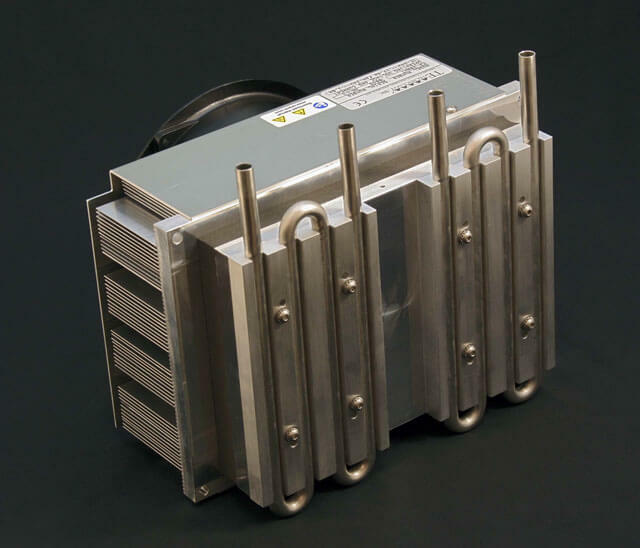 Two LC-SSX1 liquid exchangers shown mounted to a CP-200 cold plate cooler. 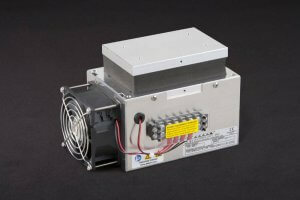 The cold plate coolers are sold separately and the LC-SSX1 exchangers are sold individually. 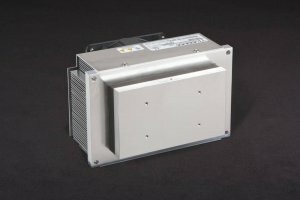 The LC-SSX1 exchanger can be mounted to other cold plate coolers–see specification sheet for details.